a chance to Win one of 3 Wheelchair Accessible Vans. Do you know a Local Hero? Are you a Local Hero? 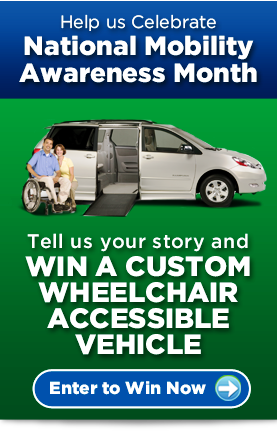 Share your Story and you could Win a Custom Wheelchair Accessible Van! 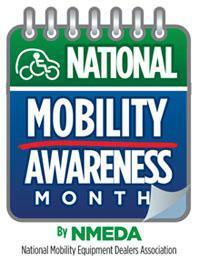 Go to www.nmeda.com/mobility-awareness-month and share your story of overcoming the challenges of dealing with a disability through video or in writing. The winner will receive a 2012 Custom Wheelchair Accessible Vehicle. Local Hero contest submissions begin March 18, voting starts April 1st. Use Drive-Master’s Promo Code 797 to earn an additional 5 votes!